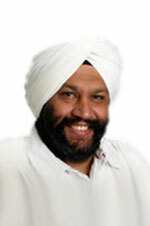 Jaswinder Chadha has served as a member of the Board of Directors since 2013. He is President, Chief Executive Officer and co-founder of Axtria, an advanced analytics company. Prior to this, Mr. Chadha served as President and CEO and was a co-founder of marketRx. He has provided sales and marketing strategies and consulting services to leading global life science companies. Mr. Chadha is a member of board of trustees of The Indus Entrepreneur (TiE) Global and is a member of the board of Panjab Digital Library (PDL).Mr. Chadha received a B.Tech. in Mechanical Engineering from the Indian Institute of Technology, Delhi, and an M.S. degree in Industrial Engineering from the University of Texas, El Paso.